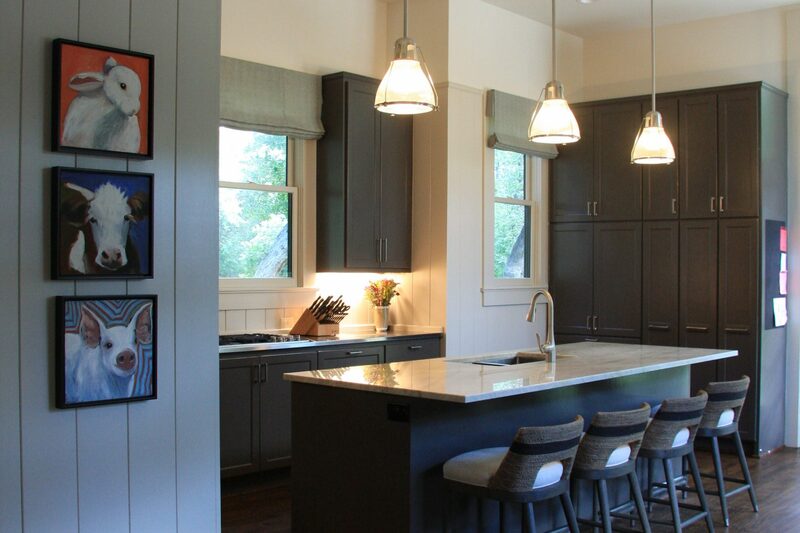 This “kitchen” project updated and expanded an existing kitchen to create better connections within the home and to the park-like site. 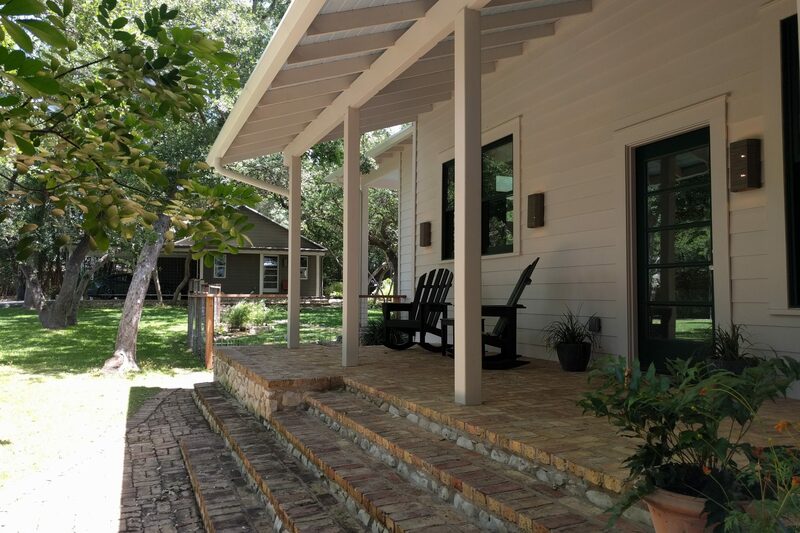 Outside, a covered porch was added and two other existing porches were reconfigured or expanded for better connection to other site features – pool, casita, views. 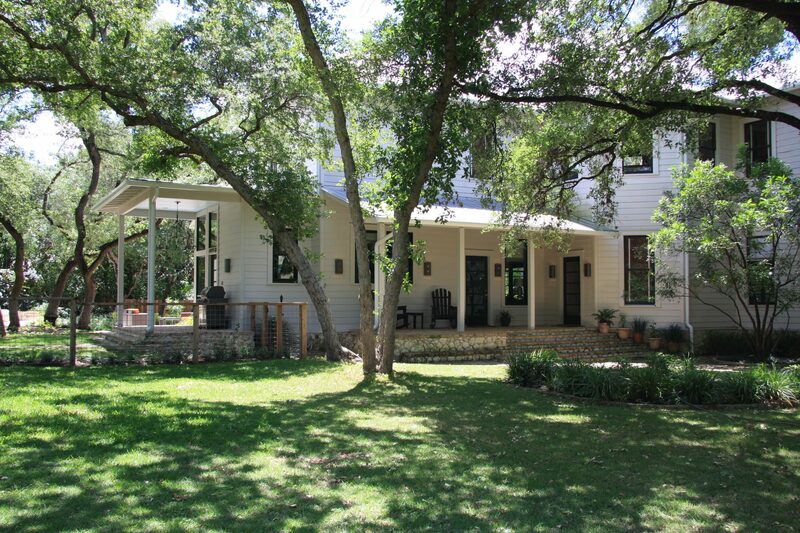 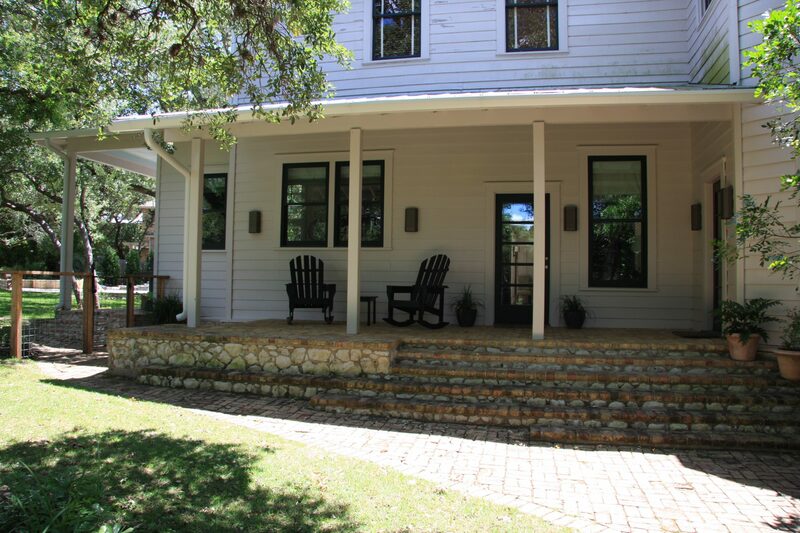 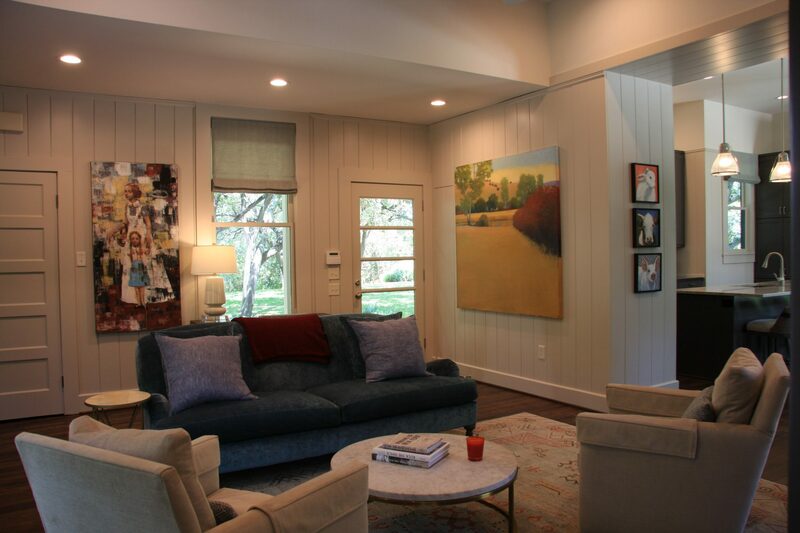 Great care was taken to integrate all new parts with the historic home. 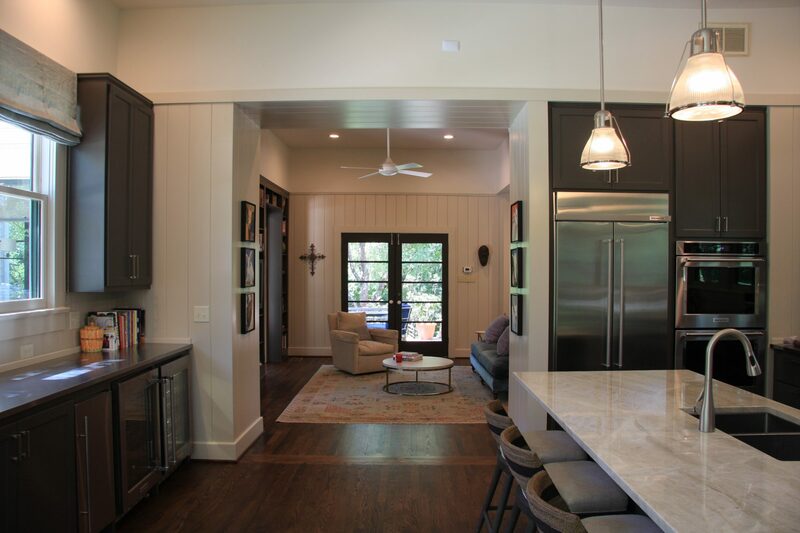 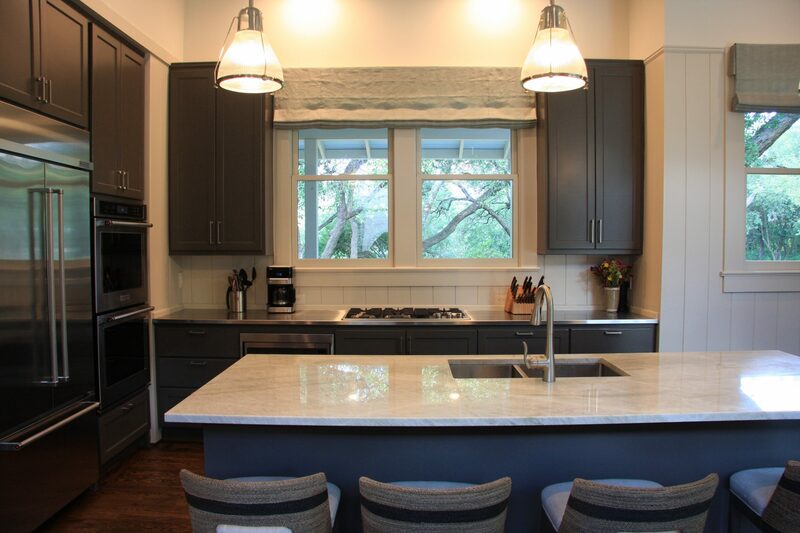 This project consisted of multiple phases – casita renovation, site infrastructure upgrades, pool construction & landscape, and kitchen remodel and addition. 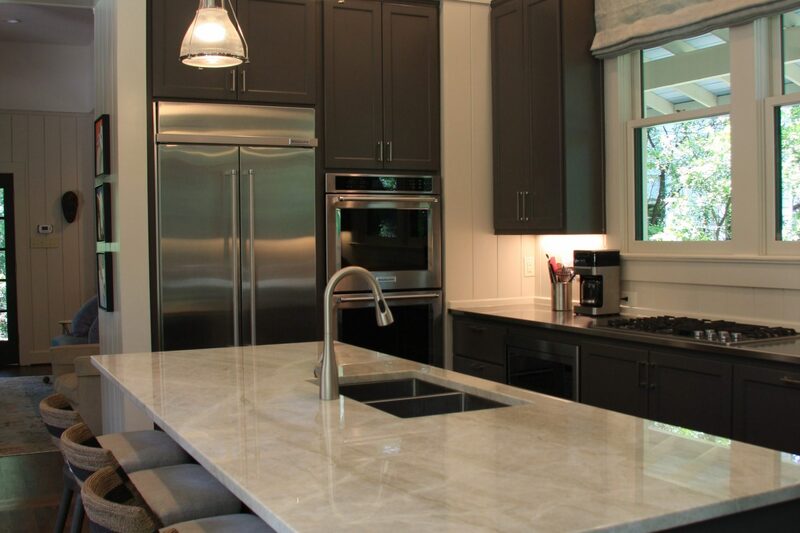 These were planned in a manner that carefully orchestrated the work-flow, resulting in the most cost-effective execution. 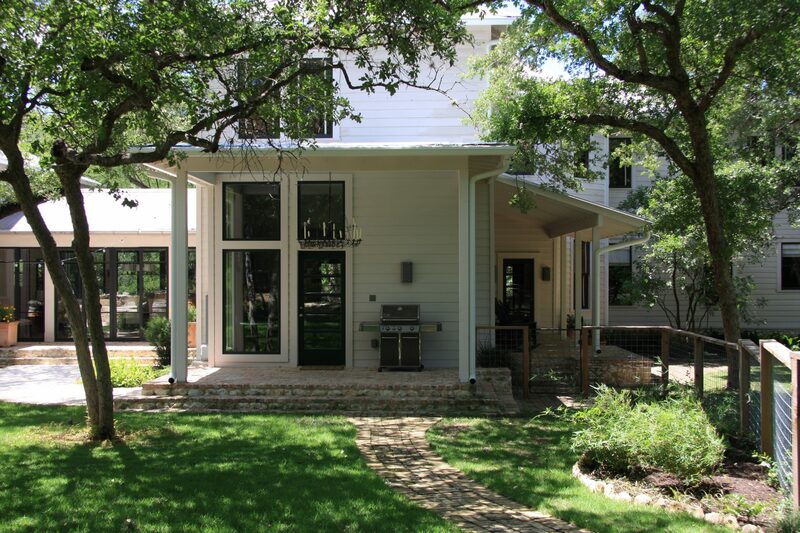 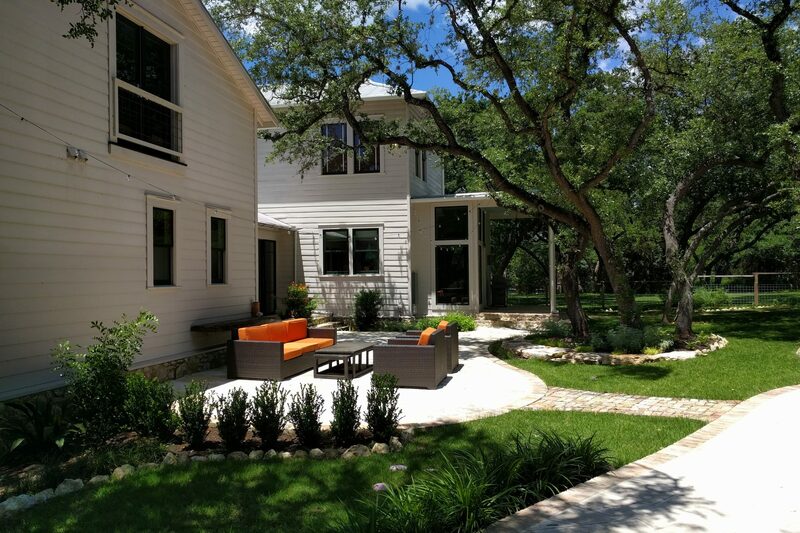 Site: Park-like setting among mature Live Oak trees – orientation of kitchen was rotated to view new pool and more of outdoors and better connect to flow of site. 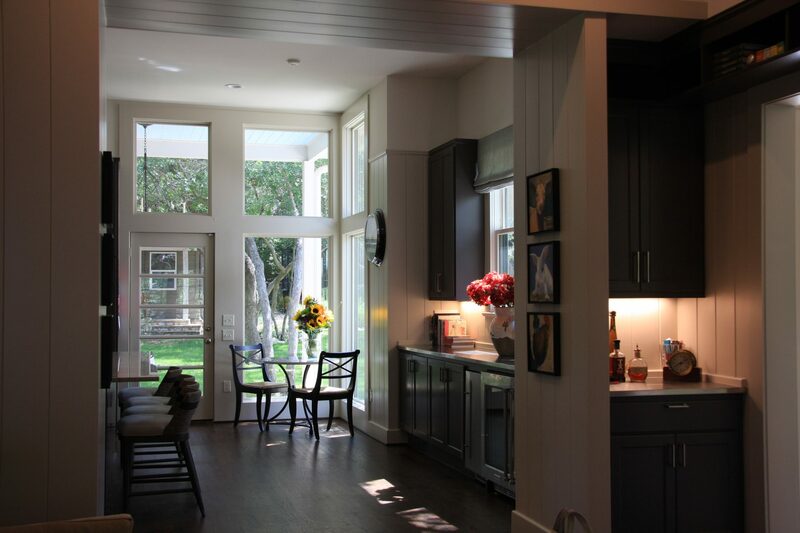 Design: Small kitchen and porch addition re-oriented flow through house to outdoors; interior and exterior elements blend seamlessly with historic 1930s home.